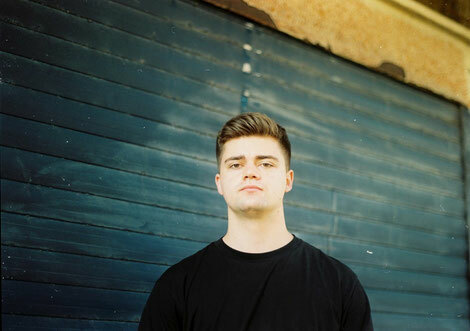 Kideko recently dropped ‘Dum Dum’ on Ministry of Sound, a piano-heavy, samba-influenced club that may well become one of the biggest tunes of the summer. The track is his second single for Ministry of Sound, and follows last year’s ‘Crank It’, his collaboration with George Kwali that went onto feature Nadia Rose and Sweetie Irie and apparently became a UK chart and streaming hit (over 15 million streams and counting). Starting life as a UK club track, ‘Crank It’ amassed an array of supporters including Annie Mac, Pete Tong, Danny Howard, MistaJam, Dance Anthems, and Toddla T at Radio 1, plus support from Kiss, Kiss Fresh, Capital Xtra, Fatboy Slim, Gorgon City, David Guetta and more. Since ‘Crank It’, Kideko has released collaborations with Friend Within (‘Burning Up’ on Rinse, former Hottest Record for MistaJam and currently on the Radio 1 C List), and Apres (‘Get The Funk’ on Subsoul). He’s also remixed the likes of Sub Focus, The Magician, and Off Bloom. Standout DJ dates include We Are Fstvl, Wild Life, Loveboxx, Tramlines, Creamfields, and Reading/Leeds, plus Cream Amnesia with Danny Howard and Fatboy Slim. Fatboy Slim also performed for Kideko and George Kwali at one of their Secret Special Guest parties in Brighton. Part of the UK’s growing homegrown house scene and hailing from the South Coast city, Kideko first made a stir with ‘The Jam’.